Could law firms be liable in securities actions relating to the actions of their fraudster clients? The United States Supreme Court is set to hear arguments on three consolidated class action suits relating to Latin American investors’ purchases of fraudster Alan Stanford’s certificates of deposit. The investors sued Stanford’s law firms (Proskauer Rose and Chadbourne & Parke), insurance broker (Willis) alleging that they aided and abetted Stanford in his fraudulent conduct. The suits were filed in United State District Court but were based on Texas securities law. The defendants moved to dismiss citing the federal Securities Litigation Uniform Standards Act (SLUSA) which was designed to discourage state law claims “in connection with the purchase or sale of a covered security.” The District Court granted the motion to dismiss, but the 5th Circuit reversed finding that suits didn’t involve “covered securities” and that there were other claims unrelated to securities that placed the suits outside the scope of SLUSA. See Roland, et al v. Green, Case No. 11-10932 (5th Cir. March 19, 2012). Defendants appealed, The Supreme Court granted defendants’ petition for certiorari, and argument is set for October 7. If the Supreme Court agrees with the investors that SLUSA doesn’t apply, law firms and other professionals that represent or are associated with fraudsters will likely face liability in securities cases in the future. Fraudsters often don’t have sufficient funds to satisfy a judgment. Plaintiffs will then look for “deep pockets” – namely, fraudster’s lawyers, brokers, and other professionals. Plaintiff was injured in a motorcycle accident in New York City in August 2004. Defendant law firm and attorney were retained in November 2004. Defendants filed suit on plaintiffs behalf in September 2006 against various companies and utilities, but not New York City. On November 28, 2007, a new firm substituted in as counsel for plaintiff. A non-party associate from defendant firm took plaintiff’s case to the new firm. The non-party associate worked on the case until her returned to defendant law firm on November 12, 2008. Summary judgment was granted to the defendants in the underlying case on December 5, 2008 because no defendants were liable; New York City was at fault. It was too late for plaintiff to file suit against New York City. Plaintiff filed suit against defendants on November 30, 2011 alleging they were negligent in failing to name New York City as a defendant. Defendants moved to dismiss based on New York’s three year statute of limitations for legal malpractice cases. Plaintiff argued the limitations period began running on December 5, 2008 when summary judgment was granted in the underlying case. Defendants claimed that plaintiffs’ suit was untimely whether the limitations period began to run on November 28, 2007 when the substitution of counsel occurred or it began to run on November 12, 2008 when the non-party associate stopped working on the case. The court further explained that if an attorney leaves a defendant law firm and continues to work on a case, that attorney’s continued representation of the client will be imputed to the attorney’s former firm. Here, the non-party associate’s continued representation of plaintiff was imputed to the defendant law firm under the continuous representation doctrine. The date that the non-party associate stopped representing plaintiff thus is the date the statute of limitations began to run. The court denied defendants motion to dismiss because of questions of fact regarding when the non-party associate’s representation of client ended. Plaintiff physician sued various professionals, including defendant attorney and law firm for legal malpractice, relating to advice given to him to enroll in an asset protection and tax savings program called AEGIS. Instead of asset protection and tax savings, Plaintiff incurred significant tax penalties from the IRS and Illinois Department of Revenue. The attorney and firm defendants successfully moved for summary judgment arguing the claims against them were barred by Illinois two-statute of limitations for legal malpractice claims. Plaintiff appeals and the appellate court affirmed. Defendant attorney advised plaintiff in October 1997 about AEGIS and encouraged plaintiff to join. In October 1999, plaintiff received a letter from the IRS informing him it would audit his tax returns from 1997 and 1998. Sometime later in 1999, plaintiff received a notice of deficiency from the IRS relating to his participation in AEGIS that stated he owed the IRS “large sums of money” in back taxes. Plaintiff then contacted defendant attorney would told plaintiff he was “going to deal with” the IRS and plaintiff should contact AEGIS officials. Defendant attorney also recommended plaintiff contact defendant law firm regarding the IRS notice. Defendant law firm worked with a legal researcher to prepare documents to challenge the IRS notice. The IRS found the arguments in the challenge documents “frivolous.” Despite many more notices from the IRS and consultations with AEGIS and other professionals, plaintiff continued with AEGIS. Plaintiff ultimately owed the IRS and Illinois Department of Revenue over $3 million in penalties and interest. The court noted how the two-years “professional services” limitations period incorporates the “discovery rule” which provides that the limitations period is postponed “until the injured party knows or reasonably should know of the injury and knows or reasonably should know that the injury was wrongfully caused.” Khan v. Deutsche Bank AG, 2012 IL 112219. Paul Hastings, LLP v. LA Pacific Center, Inc.
Law firm represented LA Pacific in $75 million commercial real estate transaction, which included a $5 million escrow holdback period of 12 months. Before closing, LA Pacific got cold feet and informed law firm that it would only close if the holdback period was 60 months. The Seller purportedly agreed to a 60 month holdback, but only some of the documents at closing were revised to reflect the 60 month holdback (rather than 12 months). Law firm discovered the error and contacted the escrowee to replace the erroneous documents, but law firm didn’t inform LA Pacific or Seller. After 12 months, Seller took the position that the holdback period expired and it was entitled to the $5 million holdback. LA Pacific disagreed. Seller filed suit for rescission based on fraud, cancellation of written instruments based on illegality, and conspiracy. Seller disagreed and protracted litigation resulted. Years later, LA Pacific prevailed. LA Pacific subsequently filed suit against law firm for legal malpractice, breach of fiduciary duty, and breach of contract based on law firm’s error in having the wrong documents at closing and law firm’s error in not informing the parties of the subsequent correction to the documents. LA Pacific’s damages were having to litigate the underlying suit for years, its inability to sell the property, and substantial attorneys’ fees. Law firm moved for summary judgment arguing that: (1) LA Pacific couldn’t establish causation because it prevailed in the underlying suit; and (2) LA Pacific shouldn’t recover punitive damages. Law firm’s motion was denied and law firm then appealed. Appeals court affirmed the denial of summary judgment regarding causation but reversed regarding punitive damages. Appeals court explained the causation standard for a transaction malpractice suit stating that the standard is the same as in a litigation malpractice claim — plaintiff must show that “but for” the malpractice, it’s more likely than not that it would’ve had a more favorable result. The trial court’s denial of summary judgment was correct because there was a triable issue of fact as to whether LA Pacific would’ve had a better result “but for” law firm’s alleged malpractice. Law firm also argued LA Pacific was judicially estopped because LA Pacific argued in the underlying suit that Seller always intended to avoid the contract. The trial court rejected this argument as did the appellate court. The court found the positions taken by LA Pacific in the underlying suit and here weren’t totally inconsistent, and, thus, judicial estoppel didn’t apply. Client corporation filed suit alleging legal malpractice against its outside counsel for failure to notify client of unauthorized loans by client’s CFO. Outside counsel discovered unauthorized loans made by client’s CFO to another corporation. Outside counsel advised CFO to tell client’s CEO and Board of Directors about the loans. CFO didn’t tell the CEO or the Board and neither did outside counsel. Outside counsel moved for summary judgment arguing that client knew of CFO’s loans and did nothing to stop CFO and that outside counsel’s failure to notify client about the loans wasn’t a proximate cause of client’s damages. The court noted that there were fact questions as to whether client knew about the loans and thus whether outside counsel’s failure to notify was a proximate cause of client’s damages. The court also analyzed outside counsel’s in pari delicto affirmative defenses noting that there was a fact question as to whether client was at equal fault by not doing anything even thought it supposedly knew about CFO’s loans. Lastly, the court rejected outside counsel’s affirmative defense of comparative fault finding that client’s failure to discovery CFO’s loans didn’t interfere with outside counsel’s performance of its professional duties to client. The Insured provides medical billing and collection services to its customers. The Insured was advised by a special agent of the Department of Health and Human Services that he was investigating a former employee of the Insured for embezzlement from one of Insured’s customers. The Insured gave Gemini notice of a potential claim for negligent supervision under its professional liability policy issued by Gemini. Gemini denied coverage. The Insured’s customer then made a demand for repayment of its losses relating to the embezzlement. The Insured made another coverage demand and Gemini again denied. The Insured settled with its customer and then filed suit against Gemini. Gemini moved to dismiss arguing the Insured’s claim was excluded under three exclusions under the policy, including a dishonesty/fraud exclusion. Applying Georgia law, the court granted Gemini’s motion to dismiss. The dishonesty/fraud exclusion bars coverage for claims “Arising Out of any actual or alleged … [c]riminal, fraudulent, dishonest, or knowingly wrongful act or omission committed by or with the knowledge of any Insured.” The policy defined “Arising Out Of” as “connected to, incidental to, originating from or growing out of, directly or indirectly resulting from.” The court concluded that the Insured’s negligent supervision claim wouldn’t exist but for the embezzlement so it arose out of the embezzlement. Endurance provided real estate investor and lender plaintiffs with a claims made and reported professional liability policy with a policy period from March 18, 2009 to March 18, 2010. The policy included a 60-day “Automatic Extended Reporting Period” (“AERP”) upon non-renewal of the policy. On November 19, 2009 — during the policy period — plaintiffs were named as third-party counterclaim defendants in a Hawaii state court lawsuit about a failed real estate development. But, plaintiffs didn’t notify Endurance until April 21, 2010 during the AERP. Endurance denied coverage and plaintiffs filed suit against Endurance. Endurance then successfully moved for summary judgment. Applying California law, the court found the policy unambiguous stating “[t]he specific terms of the AERP only ‘apply to claims first made against the Insured during the sixty (60) days immediately following the effective date of [the Policy’s] nonrenewal or cancellation, for any Wrongful Act committed before the effective date of such nonrenewal or cancellation … and otherwise covered by this insurance.” The court noted the effect of the AERP language is “to provide coverage when a wrongful act occurs during the policy period but the claim based on that wrongful act only materializes in the sixty days after the policy period, provided that the claim is reported within those sixty days. Here, the AERP didn’t apply to the plaintiffs’ claim because the claim wasn’t first made within the AERP. Rather, plaintiffs’ claim was “first made” during the policy period but not reported during the policy period. Plaintiffs’ claim thus was untimely. Ken Osmond — the actor who played Eddie Haskell in “Leave it to Beaver” — filed a class action suit in September 2007 against SAG claiming that it collected $8 million in foreign royalties but didn’t distribute the royalties to its members as required by a collective bargaining agreement. Federal agreed to defend, but not indemnify, SAG. SAG ultimately settled, agreeing to a payment plan for royalties due, a $15,000 “enhancement” payment for lead plaintiff Osmond, and $315,000 for class counsel’s fees. SAG sued Federal when it wouldn’t contribute for the enhancement payment or class counsel’s fees. Legal malpractice plaintiffs appealed judgment affirming jury verdict in favor of defendant lawyers and law firm arguing the trial court committed evidenciary errors. Before trial, the judge reserved ruling on a motion in limine regarding whether violations of the Florida Rules of Professional Conduct were admissible to establish an attorney’s standard of care. The judge stated he would “rule before we get into the substantive part of the trial.” Plaintiffs didn’t seek a ruling on that motion in limine before or during trial. The trial judge sustained defendants’ objections when plaintiffs tried to ask their legal expert about the Florida Rules of Professional Conduct. Plaintiffs made no proffer or other preservation of claimed error for appeal. 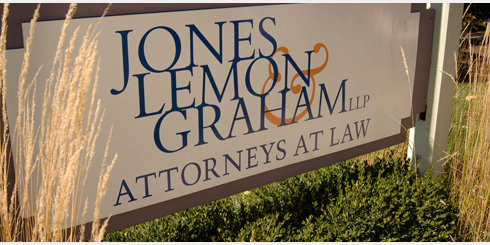 Client appealed grant of summary judgment to law firm defendants in legal malpractice case. Client alleged the firms committed malpractice and breached fiduciary duties by advising him to sign a personal guaranty for his business and for allowing a default judgment to be entered against him. Client’s company bought $460,650 in merchandise from its vendor and never paid. Vendor sued. Client and his company retained Johnston, Wilkin & Williams (“Litigation Counsel”) to represent them in that case. Williams advised client he should consider Chapter 11 bankruptcy for his company and referred client to Klosinski & Overstreet (“Bankruptcy Counsel”) to represent client’s company in the bankruptcy. Client’s company filed for Chapter 11 and Vendor’s suit was stayed. Client wanted to avoid the appointment of a bankruptcy trustee because he didn’t want to give up control of his business or a liquidation of the company’s assets. Vendor agreed not to seek a trustee if client executed a personal guaranty. Litigation Counsel advised client to sign the guaranty. The guaranty provided that Vendor could go after client personally in the event of a default which was defined to include a conversion of the Chapter 11 to a Chapter 7. The guaranty also included a waiver-of-defenses clause. The bankruptcy ultimately was converted into a Chapter 7 over client’s objections and client became personally liable for his company’s debt. Vendor filed suit and served Litigation Counsel and Bankruptcy Counsel as per the guaranty, but not client because he was out of the country. Bankruptcy Counsel forwarded the complaint to client advising him that they wouldn’t be representing him in the case. Client didn’t appear timely and default judgment was entered. A couple months later, Litigation Counsel agreed to represent client for Vendor’s suit and unsuccessfully tried to reverse the default judgment. The District Court granted the law firm defendants summary judgment. Regarding the execution of the guaranty, the court found Bankruptcy Counsel didn’t represent client personally and the record didn’t show a violation of the duty of case by Litigation Counsel. Regarding the default judgment, the court found that even if there was no default, client couldn’t have recovered in the litigation because of the waiver-of-defenses clause. On appeal, client claimed the District Court was wrong in concluding Bankruptcy Counsel didn’t represent him. The Eleventh Circuit disagreed finding that Bankruptcy Counsel’s engagement letter explicitly said it was representing client’s company and Bankruptcy Counsel’s actions were consistent with such an engagement. The Eleventh Circuit also didn’t buy client’s argument that Bankruptcy Counsel represented him for Vendor’s suit when it represented client and his company in an unrelated matter. Client also argued that Litigation Counsel breached the standard of care. The Eleventh Circuit disagreed noting that the record showed Litigation Counsel advised client of the risk and reward of the personal guaranty and that it was reasonable to advise client to sign the guaranty. Client further claimed that the waiver-of-defenses clause was unenforceable because there was no consideration. The Eleventh Circuit disagreed noting that the “compromise of a doubtful claim” can be consideration.